It can be a big step from renting a relatively small apartment–or even a townhome–to owning your own house. Not only will you need to figure out which of your belongings should move with you, but you might not be fully prepared for the differences between renting and owning. While you’re packing and arranging movers, keep these things in mind. What Can You Do Before the Move? 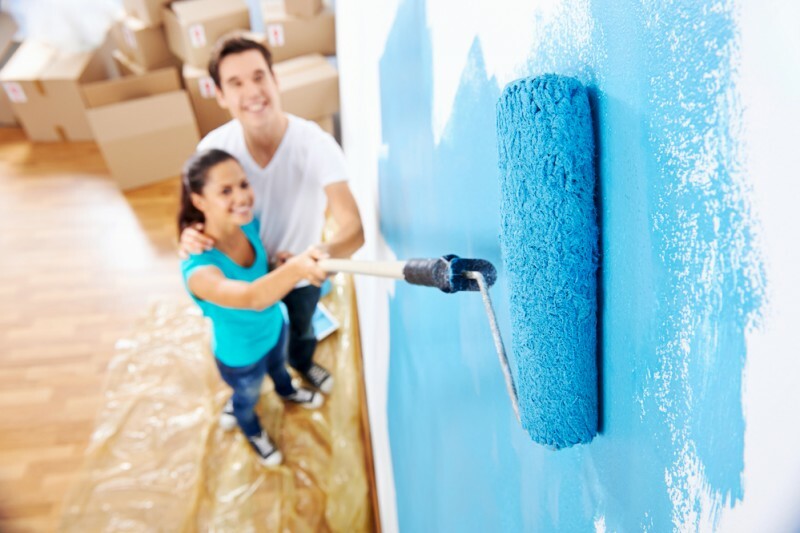 There’s no better time for projects such as painting, changing out light fixtures, redoing carpets or flooring, as there is before you’ve moved in. The house will be empty for a little while between signing the paperwork and moving day, so take advantage of it. Not only will this give you the freedom to make your home feel more personal, but it will give you a better sense of the space, where everything might go, and what little quirks your house might have. Once you have furniture and other possessions in the way, you might lose interest in making the place yours once you have to hassle with moving things around or protecting your belongings. You’re now responsible for everything in the house, from mystery switches that don’t seem to do anything to keeping the pilot lights on. While you’re taking possession of the house, get to know all the details. Go through the breakers and figure out what each one does. Make sure you know how old the water heater and HVAC equipment is, and what maintenance is recommended in the next year or two. Learn to change filters on your own, and locate the main water shutoff valve. If you can, ask the previous owners about energy costs, and also find out about the weird things they’ve just learned to live with. Something will break in the first year, and you will be the one responsible for fixing it. Sure, you can always call an expert to help, and for some problems you should, but do you want to pay the hourly rate for a plumber if you can take a plunger to the problem and handle it yourself? If you don’t know much about home maintenance, start finding how-to guides. Video sites such as YouTube are full of tutorials, and there are plenty of blogs to help you along. Also, you should get a decent set of tools. Talk to some experts at your local hardware store, and see what they recommend. You will, at minimum, want some good screwdrivers, a hammer, a level, tape measure, and a few wrenches. And of course, make sure you have a good supply of duct tape. Most renters don’t ever need to worry about their lawns. Even if you’ve rented a house before buying one, many landlords will take care of lawn maintenance for you. So the first question is, do you have a mower? How often do you want to mow–and what is the local neighborhood association’s standard? Do you have a weed wacker, brush trimmers, work gloves, rake, and shovel? Do you have a plan for gardening or decorating your house? If you don’t have a clear idea in mind, this is a great time to talk to friends or experts who are into this kind of thing. If you’re like most renters, the furniture and decorations you’ve had to this point were chosen more for their cost and relative ease of transportation rather than how well it will fit your decor. Now’s the time to think about what you want your place to look like. Furniture can get expensive, so budget well. A house loan might have enough wiggle room to get you started, but also consider what you want before you move in. What do you have that will work? What do you want to change? Can you find good second hand or consignment furniture that works with your overall scheme? And when it comes time to move, don’t forget to consult with the experts, like your friends at Gerber Moving & Storage.